Half-price sushi class for Bristol Bites readers this Sunday! A great offer for Bristol Bites readers for this weekend! 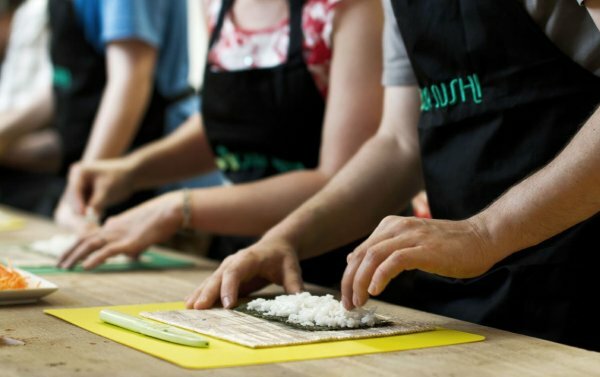 Your Sushi, a Bristol-based company that host sushi making classes all over the country, have reduced the price of their one-hour class this Sunday, November 13th for Bristol Bites readers. Normally £49, places at the 12pm class at the Park Street Cafe can be bought for just £25 – all you need to do is mention Bristol Bites when booking. Learn how to make sushi rolls in the hour long class, and leave with a very full bento box of the rolls you have created, plus miso soup, wasabi, ginger and chopsticks. We took part in a longer class earlier on in the year – read all about it here! To book and take advantage of the offer, simply email info@yoursushi.co.uk and quote Bristol Bites when booking!